SOUTH CAROLINA: Literal Clown Runs For US House - Joe.My.God. This clown wants your vote for Congress. In this case, that isn’t a negative description. 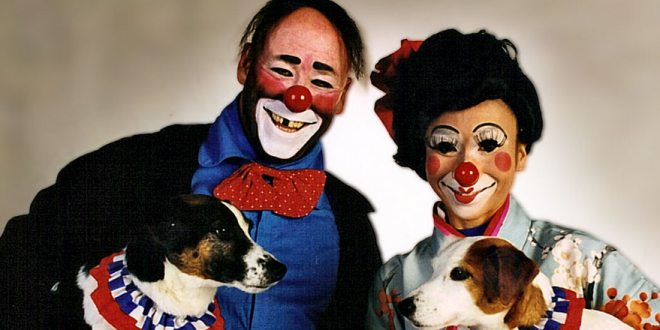 Steve Lough, a candidate for Congress in South Carolina’s 5th District, is a former professional clown for the Ringling Brothers circus. A Democrat, Lough says he wants to use his clowning to promote universal access to health care and the need to reform U.S. gun laws. The Camden native says the 2012 shooting at Sandy Hook Elementary School hit him hard because, at the time, he was working in North Carolina schools as part of anti-bullying initiative. Lough is running against GOP Rep. Ralph Norman, who narrowly won a special election last year when Trump tapped dickweed Mick Mulvaney to run the Office Of Management and Budget. Norman’s opponent in that election, Democrat Archie Parnell, is running again. The district had been held by Democrats for 118 years prior to Mulvaney’s 2010 election in that year’s Tea Party wave.